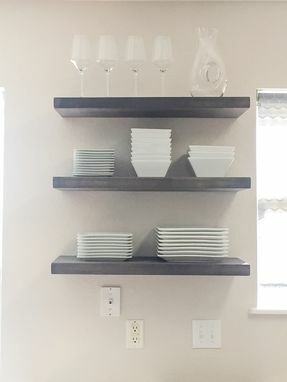 The shelves in the photos were made from one single piece of hard Maple. 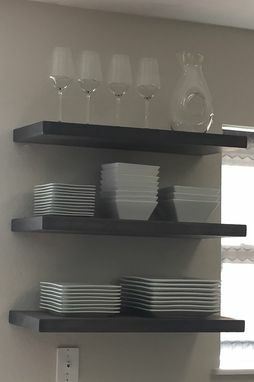 Each shelf was 28" L x 12" D x 1.5" T and finished with a custom Charcoal stain. The brackets were custom made and then recessed into the back of the shelves to ensure that each shelf sits flush against the wall. I can make the shelving to match any dimension and finish that you would like. Each project I complete is 100% custom so prices vary. Contact me for a free consultation.